Since I moved back to the UK, I have been following glamping trends with interest. It’s really great that so many people want to get out into nature and discover the incredible beauty the UK has to offer just a short drive or train ride from home. Sales are up year on year and new glampsites and glamping options are popping up all over the place. Glampsites compete to be ever more innovative and “luxurious” than the next. Train carriages, buses, all kinds of pods and domes and treehouses sit alongside traditional yurts and bell tents. Beds are king-size with extra pillows, hot tubs have become the norm and under-floor heating isn’t unusual to keep toes warm on those cooler mornings. Even “wild glamping” is sometimes just a tent down a track a little away from the hundreds of other people on site. Somewhere along the way, the connection to nature seems to have got a little lost. Sure, many people don’t want to pitch their own tent and sleep in an uncomfortable sleeping bag and wake up cold in the early hours. We want our camping experiences to “grow up” with us and be better than they were when we were little. However, add too many modern conveniences and the sense of adventure ends up completely lost. It becomes hard to tune in to the seasons, the hours of the day, the particular moods of the natural world surrounding the living space. With wide-screen TVs and wifi everywhere, the longed-for “break” can often turn out not to be much of a break at all. Here at Eco Retreats, our offering is in fact very simple. It’s based on the timeless beauty of the forest which truly lasts longer than the latest glamping trends. 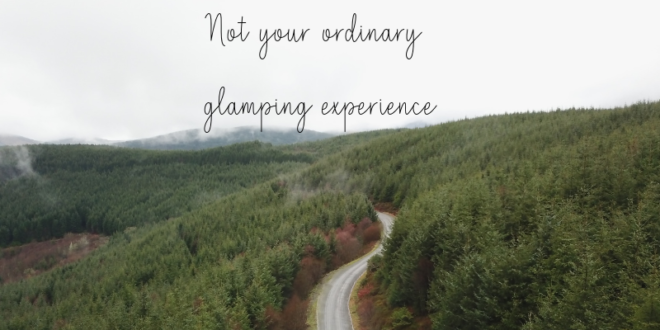 Our glampsites offer simple but beautiful accommodation in yurts which aim to balance comfort and wilderness. Special touches and a warm welcome combine with stunning views and a living space that allows the feel of nature in. You’re completely secluded – you don’t have to see anyone else if you don’t want to. There’s no underfloor heating, no TV and no wifi so you’ll need to bring some warm socks and someone you enjoy spending time with. You can’t sleep in a helicopter or a dome suspended in a tree, but we do guarantee you will leave feeling truly refreshed. You might even have time to contemplate how we have become so disconnected from the rhythms of nature in our day-to-day lives, and why we generally have so little quality time with our loved ones. Perhaps you’ll even be inspired to make some small changes upon returning home and improve the way you live from day-to-day. It’s the little things we do every day that ultimately shape our lives. For many, Eco Retreats is a sanctuary to return to again and again, to leave behind technology and the complications of modern-day living. That’s why we keep it off-grid, wifi-free and close to nature. We want you to experience the joy and freedom found in the forest. Margaret is a mother, entrepreneur, traveller and writer. Her love affair with wild places began many years ago as she lived and worked in some of the most remote areas of Africa. 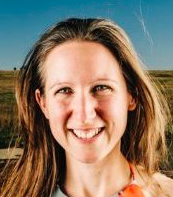 She and her family lived off-grid for 7 years and experienced first-hand the joys and frustrations of “voluntary simplicity.” Today, she is passionately committed to creating beautiful spaces which allow people to slow down and reconnect. She is a firm believer in the power of the thousand tiny choices we all make every day to change the world.